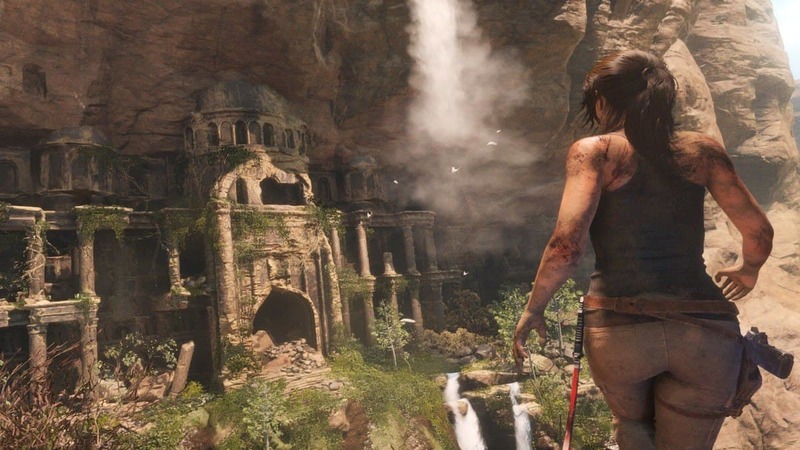 Shadow of the Tomb Raider Puzzles Solutions Guide will help you solve all of the puzzles in Shadow of the Tomb Raider that you will come across throughout the game. 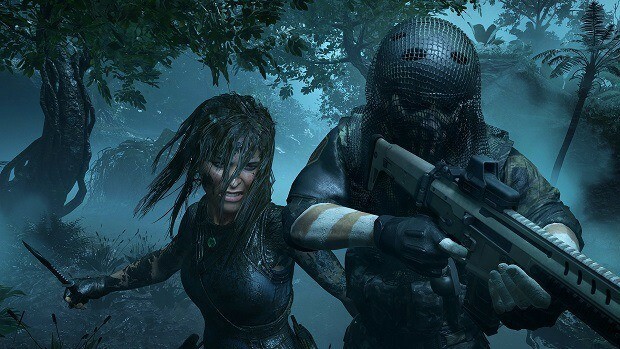 Shadow of the Tomb Raider puts a lot of emphasis on puzzles relatively more compared to the previous two entries in the franchise. The emphasis on puzzles also results in puzzles being much more elaborate and take some creativity to solve. 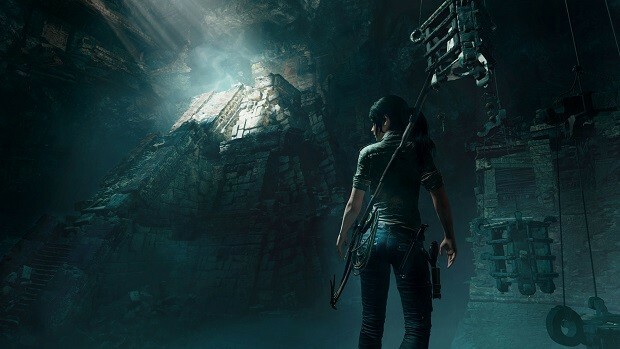 That is where our Shadow of the Tomb Raider Puzzles Solutions Guide comes in to help you with the puzzles and their solutions. 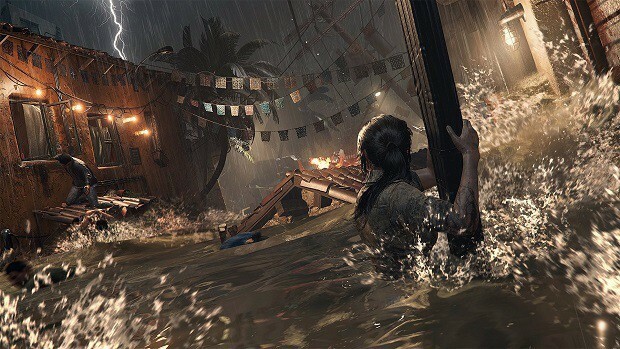 Shadow of the Tomb Raider is here and unlike previous entries in the franchise, the game is full of puzzles for players to solve. However, these puzzles are not run of the mill puzzles, as they require some skill and creativity. 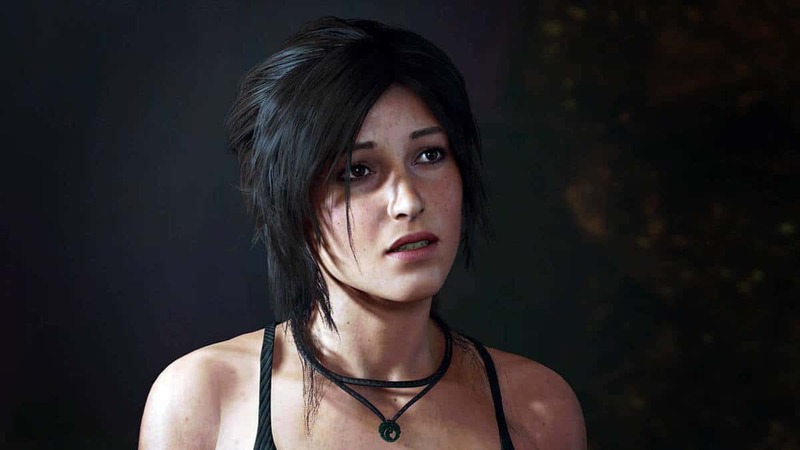 Our Shadow of the Tomb Raider Puzzles Solutions Guide will help you with all of the puzzles in the game and will provide you with their solutions so that you can easily complete them and earn rewards. When you start the Fire Temple Puzzle, you will see two cranks. Start with the crank on the left and keep spinning it until a stone bridge appears. Now go to the right crank, spin it so that the stone bridge is complete, and cross the bridge. As you come back, the bridge will start to crumble a bit and you will have to jump your way to the other side. As you return, you will see three symbols on the left and there will be three symbols on the right side too from where you cross the bridge. You have to replicate the symbols on the left side in the exact same order. Once the symbols match, go through the middle and unlock the door. There will be another door ahead and try to open it but Lara Croft will end up in a trap. Now you need to replicate the symbols from the left side on the two pillars. Replicate the symbols in the same order and do not worry about the missing number and again go back to the middle door. Go to your inventory, open the Maya Date photo, zoom in, and move it around until you make what the missing number is. The number is 0 and then wait for Jona to give you the last number on the right. Head to the golden globe, interact with it and spin it to 30-N/90-E. The room will go dark and you will see something shining. What you need to do now is go up the ladder and the other side of the upper area. Spin the crank there to move the wings and move them until the light passes through the red spots. Now you need to move the Shield Knights on the spots where the lights are hitting and a path will be revealed. Now you need to interact with the globe again and either move to E or N and pull Queen between the knights. A door will open and Lara goes through it. In this puzzle, you will start in the garden and from there you need to go to the roof. From the roof go to the showroom which will be full of trinkets and try to pick clues and letters as you make your way through the puzzle. Here you will need to wind the globe at 90 degrees East and 30 degrees North and a ladder will appear, climb it and the mezzanine will be unlocked and drop the ladder down. You will come across a wheel on the far side and interact with it to open the bat wings and the red light will start to deflect downwards. Now you need to arrange the shield knights in order to reflect the light. One knight on each side facing the painting should be reflecting the red light and the Queen would emerge. 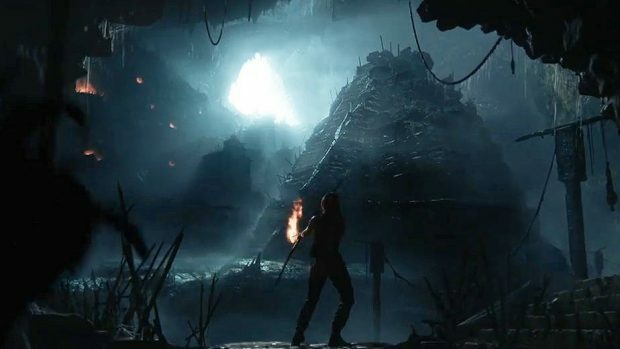 Go back to the globe and change the coordinates so that ladder goes back up and Lara can interact with the White Queen and drag her between the knights and the door will open. Players will encounter this puzzle in Cozumel. To solve this puzzle, push the cart into the middle platform, get to the crank, and start rotating the platform. Rotate the platform in such a way that the rope side of the cart is facing Lara. Use rope tether on the cart and the crank. Now pull the cart using the crank as much as you can and then cut the rope. Get to the crank on top and start rotating it. Now, pull the big lever with Jonah, however, Jonah will lose grip the first time and you will be able to pull the second time. Now get down to the water level quickly as Jonah will be holding the water bucket for a few seconds. You need to rope tether the water bucket with the other end of the bridge and then Jonah will let go of the water bucket. The Trial of the Spider is more about parkour than it is about the puzzle. You just have to follow the path ahead and parkour your way through and once you get to the top you will need to rappel down from the wall and swing to the Spider and hold on to the ledge. This trial will ask you to climb the tower and have it start rotating using roper tether. Just keep following the path and you will come across a mechanism that you can use to attach a rope tether to. Attach the rope tether to the middle mechanism and it will start turning the tower using the Wind. Pull the lever in the middle of the room and then use a rope tether on the wooden beam. This will allow some oil to flow and you will shoot it with the fire arrow to make way. In the next room, there will be two discs of sorts that will spin in place. You will notice that the discs have small paths you will need to align them properly for the oil to flow to the barricade. Tether both discs together and rotate the upper disc counter-clockwise and only rotate it 180 degrees and then cut the rope and rotate the upper disc by 90 degrees. The path on the discs should be aligned perfectly for the oil to flow. Now pull the Serpent lever and then pull down the rope-beam using rope arrow. Oil will fill up, all you need to do is shoot it with a fire arrow, and this will complete the Trial of the Serpent. To solve this puzzle you need to rope tether the Spigot in the middle to the crank and move it to the right. Now jump on the spigot, climb to the top spigot, and remove the rubble. Rope tether the top spigot to the crank and rotate it until the water is hitting the middle spigot. Rope tether the middle spigot to the crank and move it so that the water is dropping on the bottom spigot. Rope tether the bottom spigot to the crank and move it so that the water starts flowing to the Water Wheel. Now jump into the water and swim to the other side as the rest of the puzzle is there. Over here, you need to rope tether the left spigot to the crank and move it so that the water will drop in the pool below. Now jump in the pool and dive to remove the rubble blocking the other spigot. Now move the left spigot so that the water will flow to the right spigot. Now move the right spigot so that the water will start flowing on the water wheel. To find the Secret Crypt, Lara Croft needs to look at 3 different objects. The first object is on the ground floor which is a crumbling wall. Use your pickaxe to reveal the painting. The second object is also on the ground floor which is the big Heron image on the wall. The third object is on the top floor which will be another crumbling wall. Lara will make a remark and you will go see the Heron image. A cutscene will play and then go to the exact opposite of the Heron image and move the crucifixion picture. Use your pickaxe and you will have found the Secret Crypt. To solve this puzzle, first to the left side and pull the cart towards the light beam and the cart will reflect the light. Use the crank to shine the light on the window that depicts people on the ladder. Now pull the middle lever which will unblock the second beam of light. Now go to the right side and use the crank to shine the light on the window depicting crucifixion. Now pull the left lever where you shined the light and the puzzle is solved. 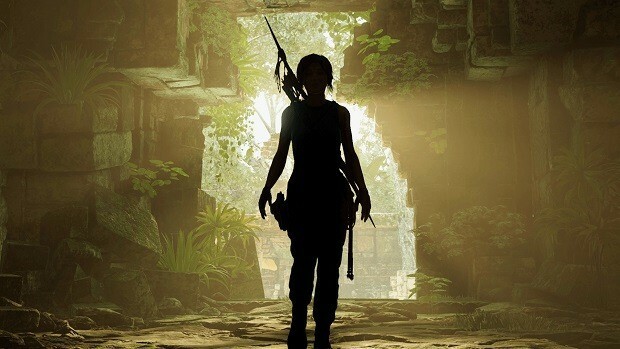 This Shadow of the Tomb Raider Puzzles Solutions Guide is a work-in-progress. We will update the guide as we find more puzzles as we play through the game.